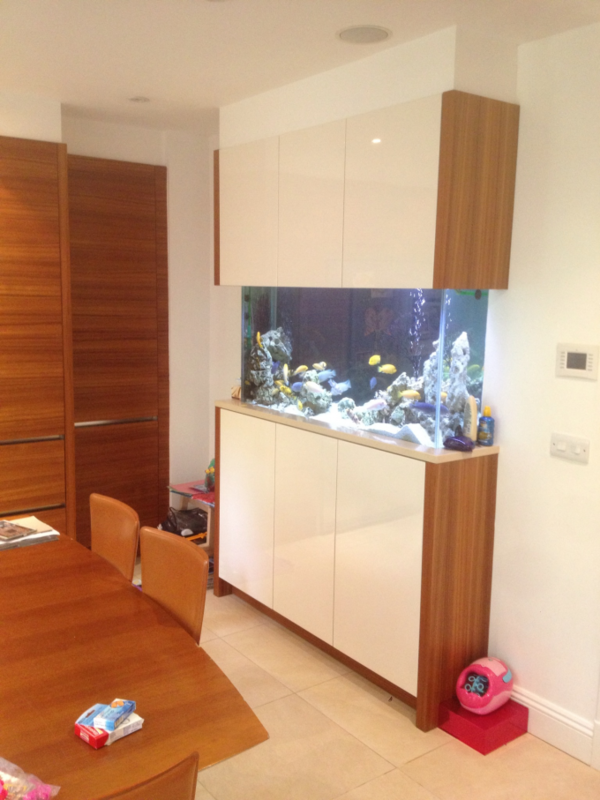 This designer home aquarium is double sided and can also be seen from the hallway of this house in North London. It houses a hugely successful group of breeding African Cichlids which are large and colourful fish with a bit of character. As with many other of our aquariums the filters are housed below along with the aquarium heater. Aquarium servicing is carried out 5-6 weekly.